Due to the wide variety of conditions that cause chronic pain, some of the following may not be suitable for everyone but always be proactive in your condition and search for ways to cope and manage your pain. Though it can take a little trial and error to find the right therapy, or indeed therapist, even if it just takes the edge off, you could find a better quality of life through a course of complimentary medicine. As so many who are disabled, and in pain are also on very low incomes, search out group or discounted treatments in your area. There are many acupuncture, and natural health clinics for example, who offer group sessions or discounts at certain times of the day or week. Ask in local support groups, or the centres themselves, and explain your situation. Always listen to your body, be aware of the possibility of what some refer to as a ‘healing crisis’, so do not be discouraged if you feel worse before you feel the benefits, as this is often the nature of healing. The following is a list of valuable and proven pain-relieving treatments, which have all had positive benefits for many fellow chronically ill souls in search of a little relief. Long known for its pain-relieving properties, acupuncture also helps you achieve improved immunity and a greater sense of wellbeing. According to Traditional Chinese Medicine, it is used to stimulate energy flow, or chi, removing blockages in your meridians, which are like rivers of energy. When a blockage of energy occurs, it is like a dam that backs up the flow and in turn leads to illness. Acupuncture unblocks the dam within a person’s energy system by inserting fine, sterile – and usually disposable – needles a few millimetres into your skin at specific points on the body. This causes surprisingly little, if any, discomfort; you may experience a tingling sensation where the needle is inserted or a brief dull ache, but also a general feeling of the energy moving coupled with deep relaxation. The physician can determine exactly where the energy is blocked and can then use needles, pressure or cauterisation, either directly at the site of the blockage or through some remote acupuncture point, to unblock it – a little like dynorod. Needles are usually left in place for anything between 10 and 30 minutes and may be rotated or tapped to increase or disperse energy. Occasionally, acupressure points may be stimulated by moxibustion, which is the burning a small cone of dried Chinese herb known as moxa – usually artemesia vulgaris latiflora – close to or on the point to warm, nourish and stimulate weak chi in areas that are cold or painful. 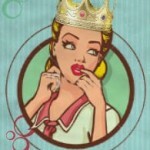 Acupuncture also releases endorphins into the body, boosting mood and overall well-being. During treatment, very fine needles are placed in acupuncture points to reduce your symptoms and pain, it is also immensely helpful at balancing fatigue. Hot stone massage, which swiftly warms the muscles, bringing fast relief and relaxation. Caution must be taken regarding the intensity, because the pain can be aggravated by massage that is too aggressive. Avoid deep tissue work or stronger forms of body treatment, in case they induce a flare-up. This is the most gentle form of yoga, so gentle in fact, that the poses will hardly feel like moving at all, as such tiny movements are used to begin strengthening patients with disability, chronic pain, and/or who have been bedridden for a prolonged period of time. Proven to reduce pain in fibromyalgia and chronic back pain, it helps increase strength, mobility and reduce pain but is gentle enough to not send your body into a painful flare-up. Restorative of Therapeutic yoga is a restful, passive form of yoga designed to open the body deeply but gently. It promotes deep relaxation, induces a feeling of profound peacefulness and allows the body and mind to move into stillness. It also soothes your central nervous system, leaving you feeling refreshed, rested, and calm. When supported with props, the body relaxes and opens, releasing tension in the muscles and the mind. Done in sequence, a restorative yoga practice brings your whole body into a relaxed state, allowing your mind to quieten, and become peaceful. This stillness also allows the body to drop even the deepest layers of tension. 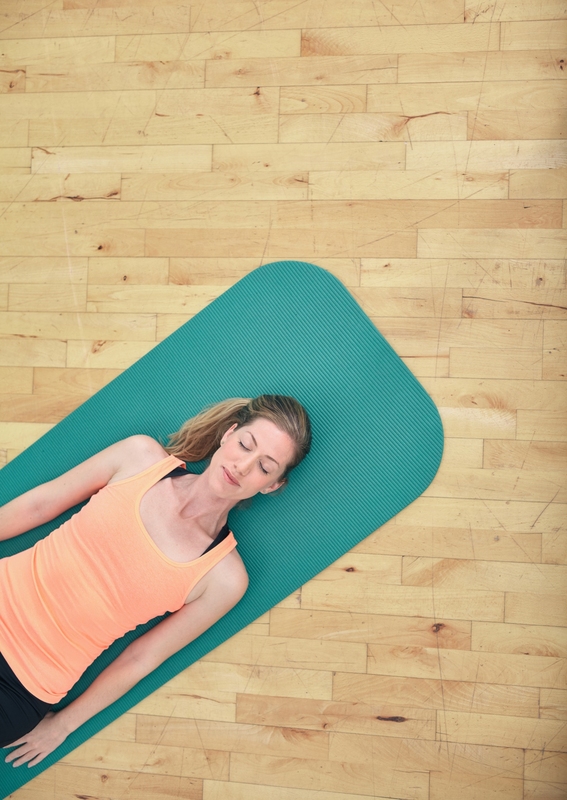 Click here for a Restorative Yoga Sequence to Gently Ease Chronic Pain. Always check the qualifications of your instructor and be sure to start of very slowly. One on one sessions are naturally preferable if affordable, as the instructor can teach while completely aware of your needs, pace, and limitations. Cushions, bolsters and yoga belts are used to support your body so that it can release without effort. Each pose is meant to be held for longer than a few breaths; you can stay in a restorative pose for a few minutes or even longer. Because the poses use props to support your body, the right support in a pose will make it feel effortless, so your body can fully let go, unlike during more strenuous workouts that so often result in painful flare-ups. Soft martial arts, such as Tai Chi and Chi Kung, are really moving meditations. Improving your posture, breathing and awareness, they are gentle and calming practices that have been shown to benefit patients with chronic pain and variable illnesses. Being of Taoist ilk, they hinge on the idea that everything is made up of energy, or chi (qi), and through practising tai chi or chi kung — even if bedridden and simply using chi kung meditative or breathing techniques — you can cultivate and store chi, leading to balance and healing, reducing flare-ups and calming an already over-stressed nervous system. Tai Chi and Chi Kung move the blood, therefore they generate energy without much movement or stress on the body, so are ideal for individuals who have some health challenges and cannot do a lot of physical activity, such as aerobic exercise, or even walking. Chi Kung allows everyone who desires improvements in their body to do the movements standing up. sitting or even lying down; and the breathing techniques of Chi Kung allow oxygen to flow deep into the cells, tissues and organs of the body. If you find it too painful to stand, Tai Chi in a Chair is a great book, click here or forSeated Taiji and Qigong click here. Alternatively, Seated Tai Chi for Arthritis DVDhas great exercises. To begin to feel the chi or energy follow these gentle exercises for a beginner (see videos below); a more advanced but still wonderfully gentle exercise routine can be found here: 9 Minute Tai Chi Routine. The slow and gentle movements of tai chi also open up energy channels, and the rhythmic movements of the muscles, joints, and spine pump energy through the body, thereby flushing out the stagnated chi, replacing it with fresh, oxygenated chi. And Tai Chi can be performed in a sitting position, making it suitable for those in wheelchairs or who’s balance is particularly impaired. 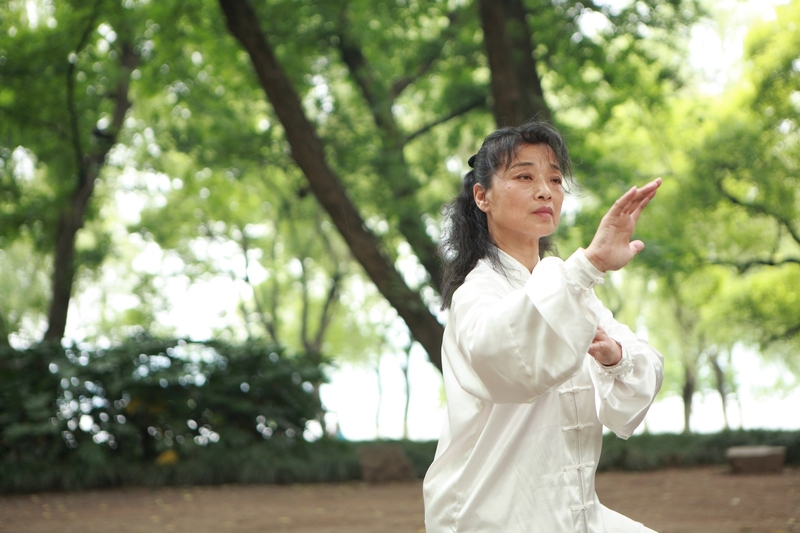 To find out more about tai chi for people with disabilities, check out this article from Action Online, about tai chi in a chair – As a form of healing exercise, tai chi/chi kung is perfect for those with disabilities, chronic pain and physical limitations. Research has shown that tai chi provides all the benefits of a rigorous workout but, because it is not strenuous, it carries no potentially harmful side effects. Though the root of the word ‘osteopath’ means ‘bone’, osteopaths do not actually treat bones. Rather, they use the bones as levers to improve the condition of other structures in the body like muscles, ligaments, tendons, fascia, and organs. By treating these structures, osteopaths can aid the body’s natural healing ability. Chiropractors, on the other hand, tend to focus on the spine and the alignment of vertebrae as the primary means to relieving pain and tension throughout the body. The spine consists of the vertebrae, which are bone segments that protect the spinal cord, and the individual nerve branches stemming from it. These nerve branches exit between the bones, conveying important messages between the brain and the rest of the body. Because the vertebrae shift and move with everyday activity, they can misalign and interfere with the nerve messages travelling among them. This interference causes problems, and frequently pain, throughout the body. This is advanced body work designed to relieve or reduce pain, restore function and mobility. Working on the fascia or soft/connective tissue that has hardened through living with chronic pain. It is astonishingly healing and very gentle (always speak up if anything causes increased discomfort – this applies to all therapies and treatments). MFR brings about permanent change in the body, so results last longer than more conventional forms of massage treatments. Everyone can benefit from this kind of body work as, over the years, fascia can harden in various places around the body, only adding to your already high discomfort. Particularly helpful for fibromyalgia and other chronic pain conditions. Always check the credentials of your therapist. Play the following video for a comprehensive description of what MFR is and how it can help heal you, not just physically but emotionally too. Craniosacral Therapy works on the spinal fluid and it a variation of osteopathic and chiropractic medicine, where a therapist gently places his/her hands atop your skull and feels for the oscillation frequency – the small degree of movement that the skull bones naturally retain throughout life. This is a subtle motion of the membrane encasing the cerebrospinal fluid in the brain and spinal cord down to the sacrum, the bone at the bottom of the spine. The therapist gently manipulates the bones to bring them back into proper alignment. It is said to improve the fluid movement in the systems throughout the body. By doing this, it can enhance many functions: the provision of nutrients to cells; the removal of toxins and waste products from the tissues; the circulation of immune cells; the delivery of fresh blood to organs and tissues; and the movement of cerebral spinal fluid. Always check the credentials of the therapist—this is especially important with osteopathy as in the wrong hands can cause more damage than good. There are many different water-based physical therapies that studies (and patients) have shown to be very effective with chronic pain and conditions such as fibromyalgia and CRPS. Watsu is a combination of massage and Shiatsu in warm, 34 degree water, giving a floating massage. This is my utter all-time favourite therapy. It is astonishing how healing Watsu is and on so many levels, helping physically as well as emotionally. 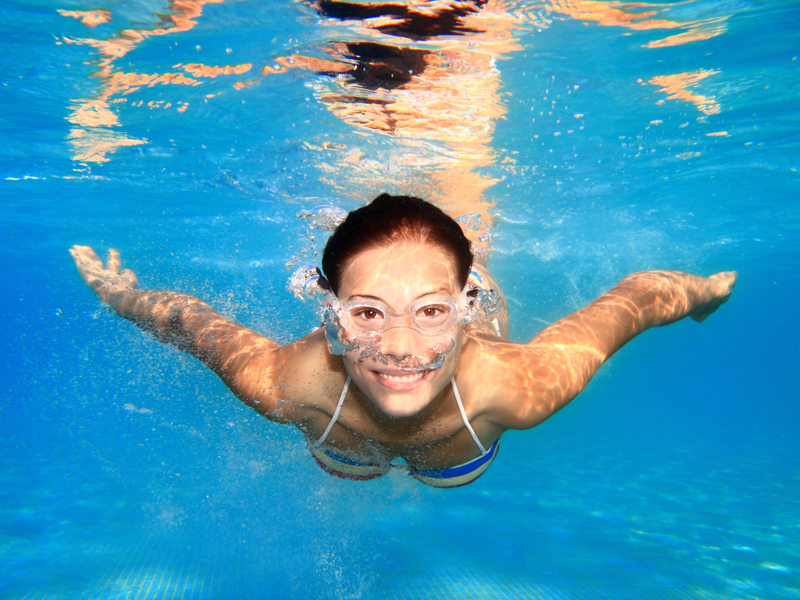 With the therapist assisting your buoyancy (and a couple of floats attached), you float comfortably in a large pool of warm water while your muscles are massaged, your joints rotated & mobilized, meridians (energy pathways) stimulated. This combined stimulation and weightlessness produces and incredibly relaxing experience that many describe as being spiritual in nature. This beautifully relaxing and healing therapy can be used for treating stress, chronic back pain, orthopaedic problems, arthritis, sleep disorders, anxiety, CFS, CRPS/RSD, fibromyalgia and many other chronic pain conditions. What makes Watsu unique is its ability to take the receiver beyond physical relaxation. It produces such deep relaxation that the mind appears to shut down – leaving silence where there is normally continuous activity and noise. It is only when the body and mind are quiet that you can experience complete release of tension. Another wonderful thing about being in warm water, aside from the obvious therapeutic benefits, is that the painful allodynia of RSD/CRPS is massively reduced, leading to much lower pain levels throughout the treatment, and healing benefits that last long afterwards. One interesting therapy is Ai Chi. Ai Chi is a water-based total body strengthening and relaxation progression that bridges East and West philosophies, and integrates mental, physical, and spiritual energy. It combines Tai-Chi and Qi Gong concepts with Watsu techniques, and is performed standing in shoulder-depth warm water using a combination of deep breathing and slow, broad movements of the arms, legs, and torso. 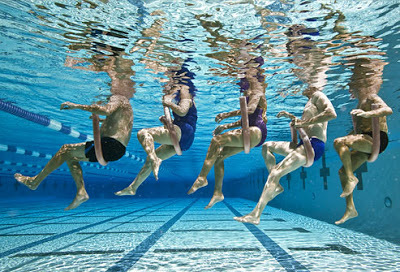 All thermal aquatic bodywork takes advantage of the waters properties, fostering range of motion while challenging balance (safely) and facilitating core strength and stability. The series of movements in Ai Chi is simple, but effective and becomes meditative when performed repeatedly and coordinated with the breath. The philosophy and breathing in Ai Chi are similar to those of land-based Tai Chi, many of the benefits seen in Tai Chi are applicable to Ai Chi. Many of the Ai Chi benefits come from breathing and exercise, as well as effects related to the relaxed contemplative state. Jun Konno, ATRIC, creator of Ai Chi, is one of Japan’s foremost swimming and fitness consultants and the President of Aqua Dynamics Institute (Japanese chapter of AEA), Aquatic Therapy and Rehab Institute and founder of the Aquatic Exercise Association.